Art buddies forever! 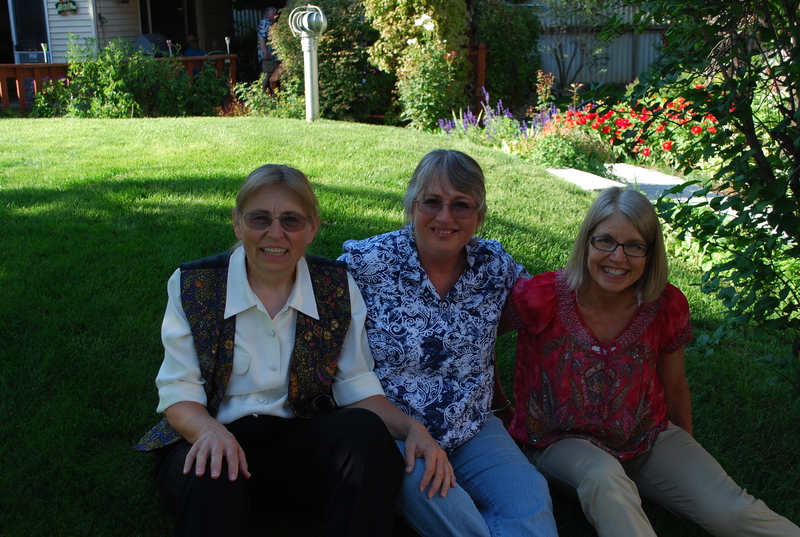 Me, Barb Edwards, and Roxane Pfister at our Sep 15th Garden Art Show and Sale. We have known each other since before middle school in Idaho. We have travelled the road of college, family, and ART together. This year we all three turn 60. I say YEAH for the precious decade ahead and to friendships that last and last and last . . .